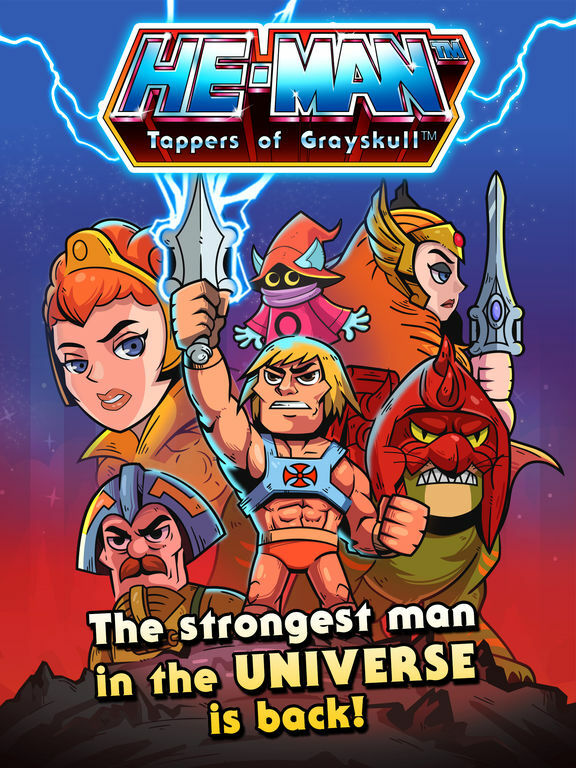 The penultimate chapter of the He-Man/ThunderCats crossover is the most action-packed installment yet. 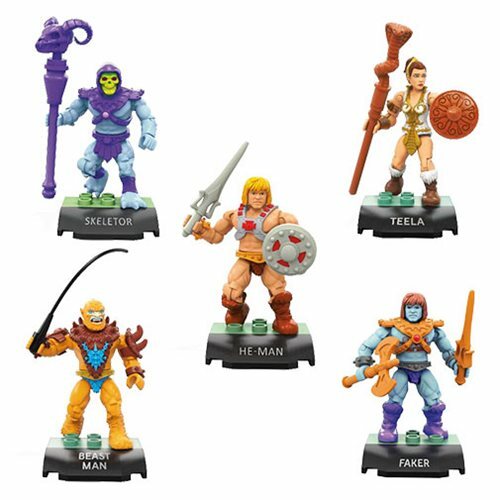 While the combined heroes on Eternia struggle to stop the Ancient Spirits of Evil from reaching Castle Grayskull, He-Man and Lion-O are nowhere to be found. 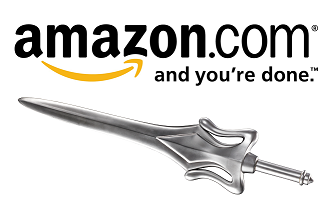 The stakes are sky-high and the odds of overcoming evil have never looked more overwhelming. Apparently taking place at the same time as the events of issue 4, this latest issue feels like “Blackwater” or “The Watchers on the Wall” – two second-to-last episodes from the HBO series “Game of Thrones” in which the usual intercutting of storylines and other stylistic trappings are tossed aside to focus purely on one massive battle. And what a battle this is. 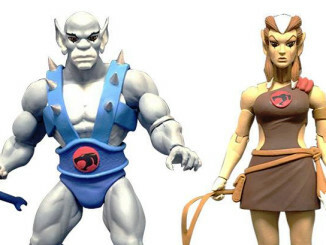 The ThunderCats and Masters of the Universe are both in fine form as they fight against the kaiju-like Ancient Spirits. 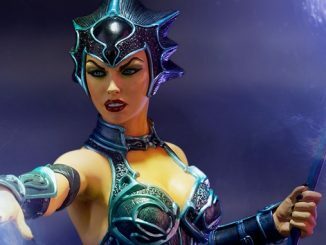 Supporting characters are paired together, like Teela with Cheetara and Snarf with Orko, and they’re all given their own time to shine. The constant narration boxes are nowhere to be seen. There’s nothing to distract us from the fight. The art from Williams and Colwell is as high quality as ever. The action sequences vary between big, splashy images and rapid-fire bursts of panels to build tension. The colors are bright and bold and never too cartoony. Every character, even in the tiny cameos, look the part just right. The characterization does suffer at times, though. There is some modern slang mixed in here or there, as David and Goldfine have done throughout the series, but the personality of Man-At-Arms feels off. The Duncan of this miniseries is gruff, vulgar, cocky, and very possibly British. The writing worked very well on the whole, but his interactions with Panthro and Tygra were odd enough to bring the issue’s momentum to a screeching halt. 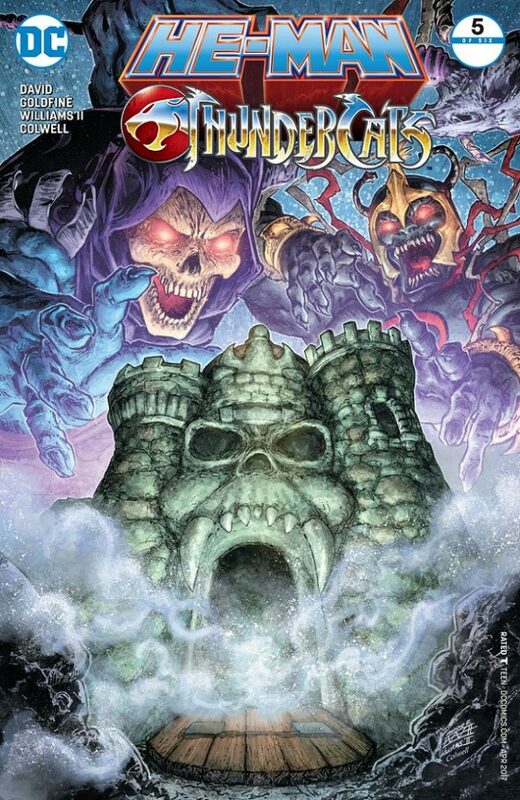 While not as strong as some previous issues, He-Man/ThunderCats #5 is a solid read. 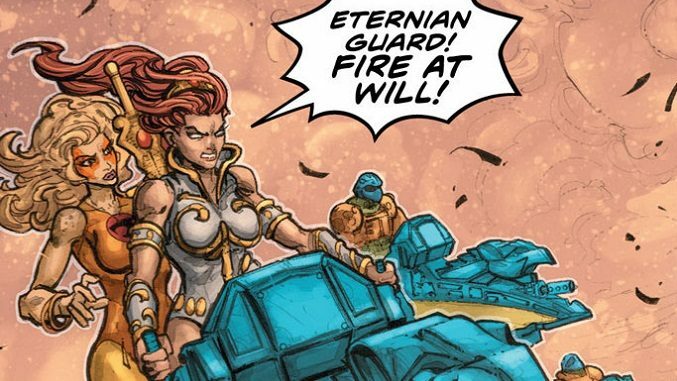 It’s full of action and Easter Eggs and some great world-building which further explains the connections between Eternia and Third Earth. The two main heroes may not appear in this installment, but the scene is set for their arrival in issue #6 to save the day. 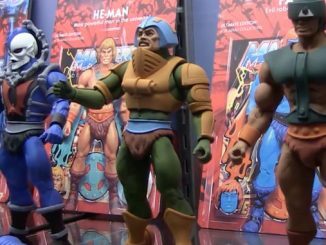 Check out these cool pictures from MattyCollector.com of Lion-O, Pumyra, Panthro, and Jackalman from the ThunderCats Third Earth Subscription!